MADRID, March 10. /TASS/. 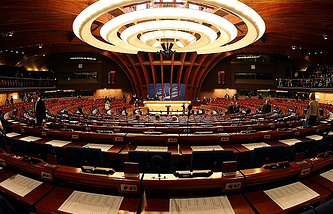 The Parliamentary Assembly of the Council of Europe (PACE) must find a possibility in the next few months to amend its regulations to protect the key rights of national delegations, a Russian lawmaker said on Friday. "If we want to build our future together and preserve Europe’s role in the future world architecture, we must look into a possibility to amend our regulations to make it possible for all the delegations be present at the Parliamentary Assembly, with all their rights intact," Leonid Slutsky, chairman of the international committee of the Russian State Duma lower parliament house, said at a session of the PACE Permanent Committee dedicated to the modality of cooperation between PACE and Russia’s national parliament in 2017. "We hope we will be able to find a roadmap to resolve these contradictions within the next few months. We understand it will be uneasy to do but we must reunify," he noted. For these ends, in his words, PACE must find a possibility in the next few months to adopt regulatory amendments to make it possible for the national delegations to work within the assembly efficiently and on an equal basis for the benefit of our common future in any, even the most difficult situations." He reminded that over the years of Russia’s membership in the Council of Europe and its presence in PACE, "there were a lot of very difficult dossiers." "But we always were able to arrive at a common position in the name of our common future and the future European architecture of the 21st century," he stressed. "We must not draw division lines that make it possible to deprive our delegations of their key rights. We must work towards a situation when we can argue with each other and solve problems together here, at PACE, without discriminating between the delegations," Slutsky said. "I want to be back at the Assembly, I want Russia to always be a member of the Council of Europe and I want the Russian delegation to take full-fledged part in the activities of PACE," the Russian lawmaker said. "But we cannot accept the situation when any delegation may be deprived of its key rights. As a matter of fact, Russia is taking the fall for all the member countries of the Council of Europe that may find themselves in such a situation in future." On January 12, 2017, Leonid Slutsky, the chairman of the international committee of the Russian State Duma lower parliament house, said Russia would continue close cooperation with PACE but would not take part in its plenary sessions and committees in 2017. Russia insists PACE lift all the sanctions off its delegation and amend its regulations to exclude any possibility of stripping any national delegation of the right to vote. "It is not right to take part [in PACE sessions] when PACE strips the country, and hence its people, of the right to vote, so, we say that it is necessary to change the regulations. 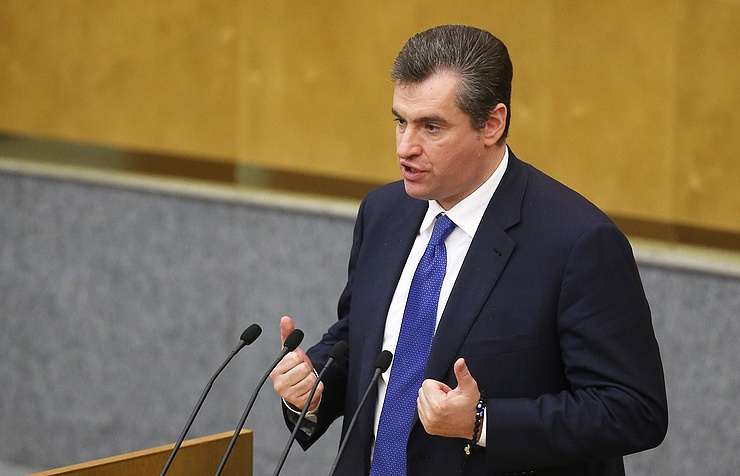 As soon as it is done we will discuss the issue of participation," Vyacheslav Volodin, speaker of the Russian State Duma lower parliament house, said earlier. Russia is still one of the major contributors to the Council of Europe. Its annual contribution for 2016 amounted to 33 million euro.